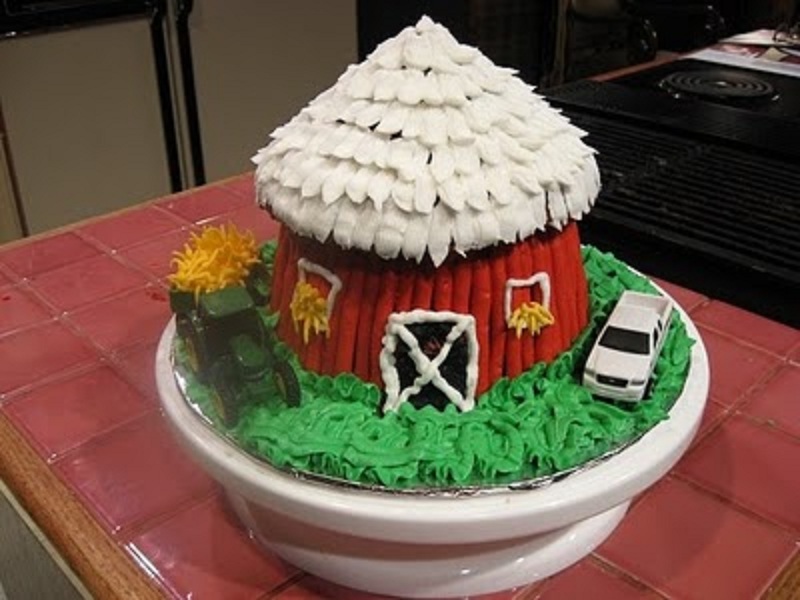 So how many of you have gone shopping for cakes, whether it be wedding, birthday, special occasion, doesn’t matter… Most everyone thinks the same thing… Geez they are expensive. Some of wedding cake mark up is just because it contains the word: Wedding. Other costs that go into that price though are of course your ingredients but a large majority of it is time. Doing a wedding cake takes time and effort! 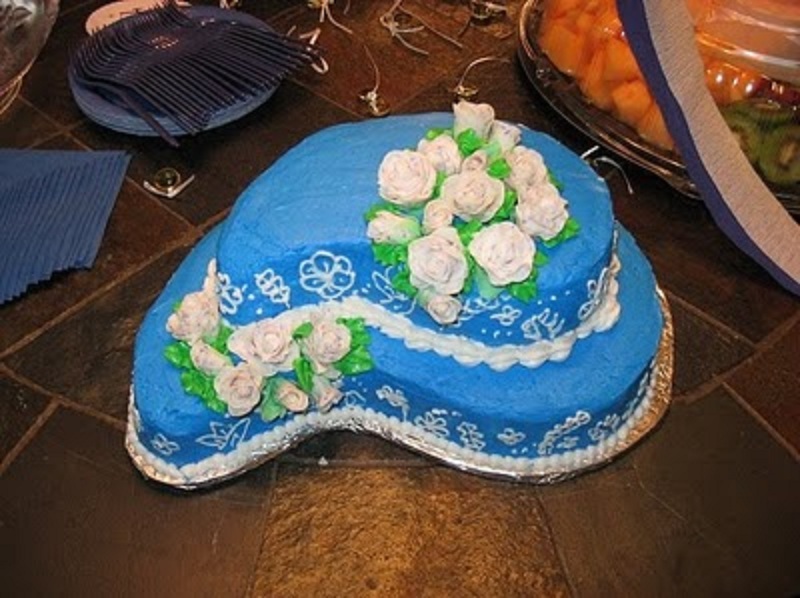 The lady I have doing mine goes home from work, takes a nap and then gets up about 11pm or so and starts baking the cake and lets it cool and then decorates all through the night so that the bride and groom have the freshest cake possible. 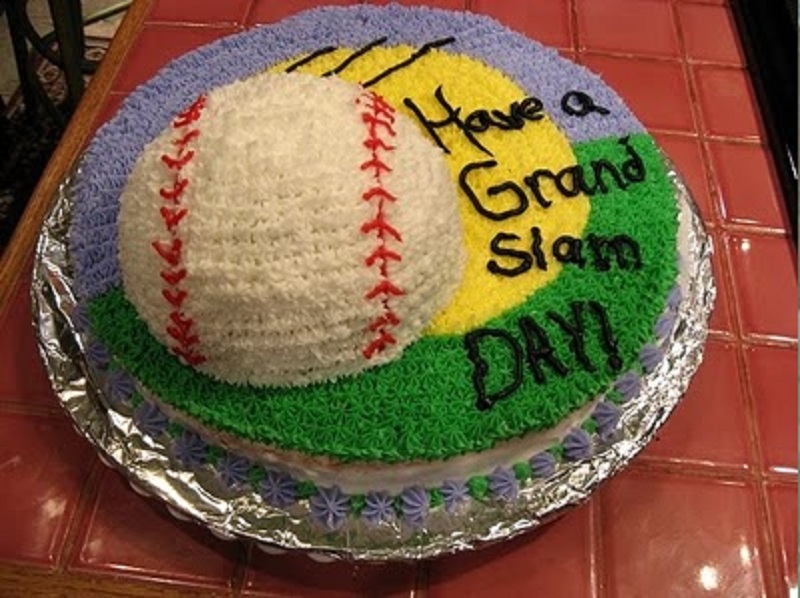 Not always is this the case though… some bakeries have frozen cakes for just in case emergencies… ie slam on the breaks going to deliver and the cake gets creamed! I’ll warn you right now this is a picture loaded blog! If you don’t like pictures, don’t read/look! The joke at work is I always need a new hobby. 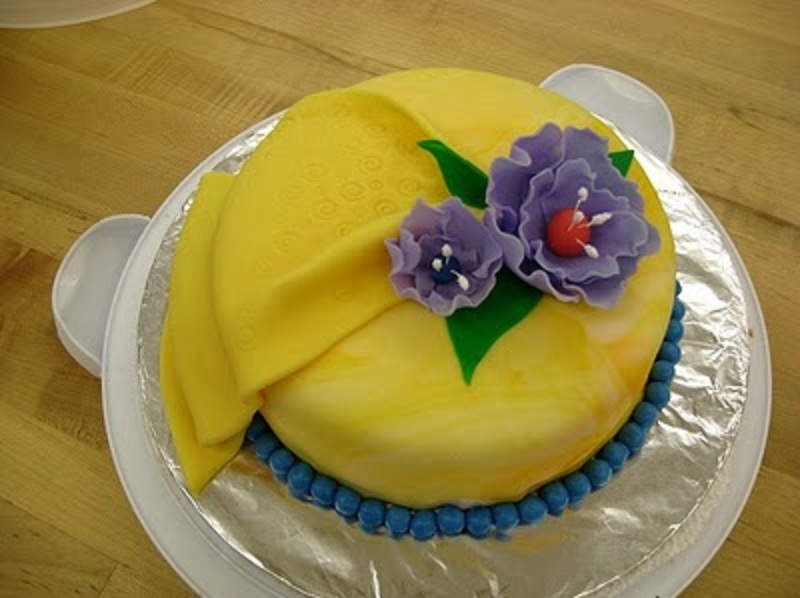 In 2008 that hobby was cake decorating so I took classes and practiced, practiced, practiced. 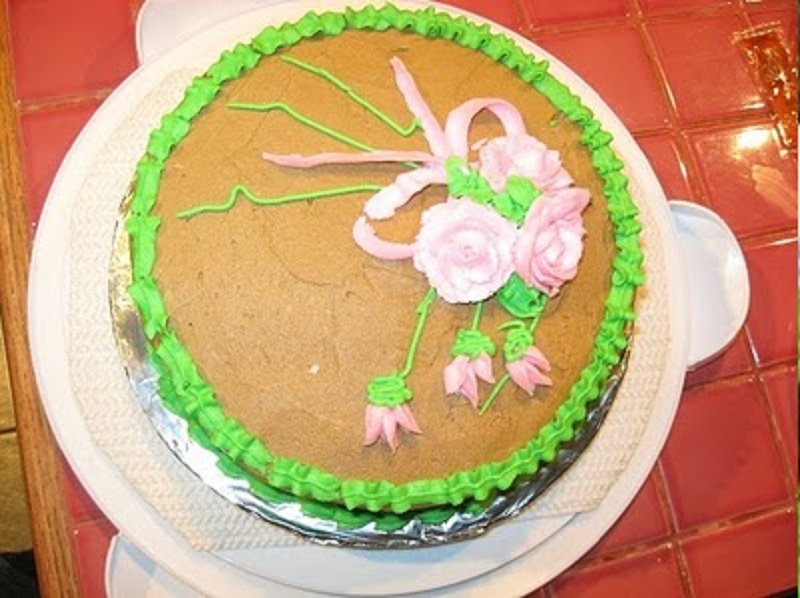 Here are a couple cakes I did BEFORE I took the cake decorating classes. This was Halloween 2006. 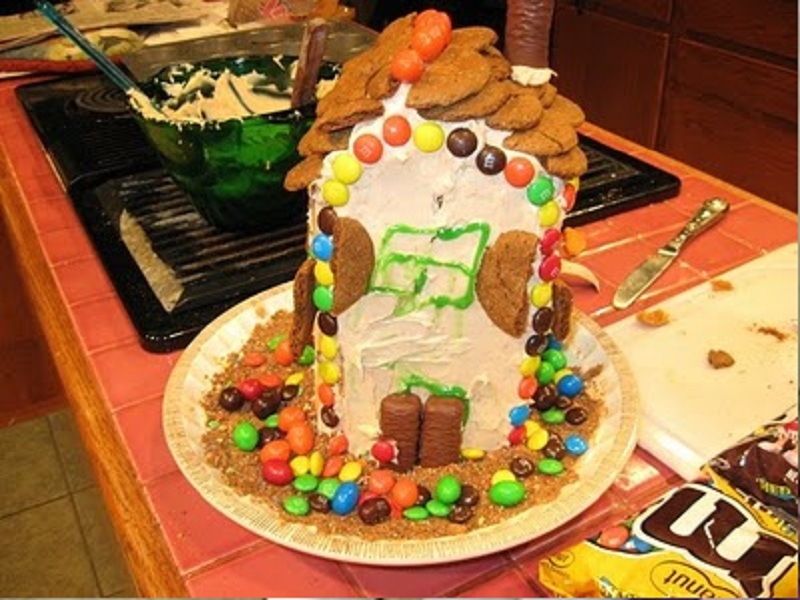 It looked cute the night I did it, by the time it got to work the next day it looked like a tornado hit it. I think I still have icing in my radio. It was originally for my dad but when my Coconut Cream Pie didn’t turn out he let me take this to work. This was also Halloween 2006. I did these for my mom. 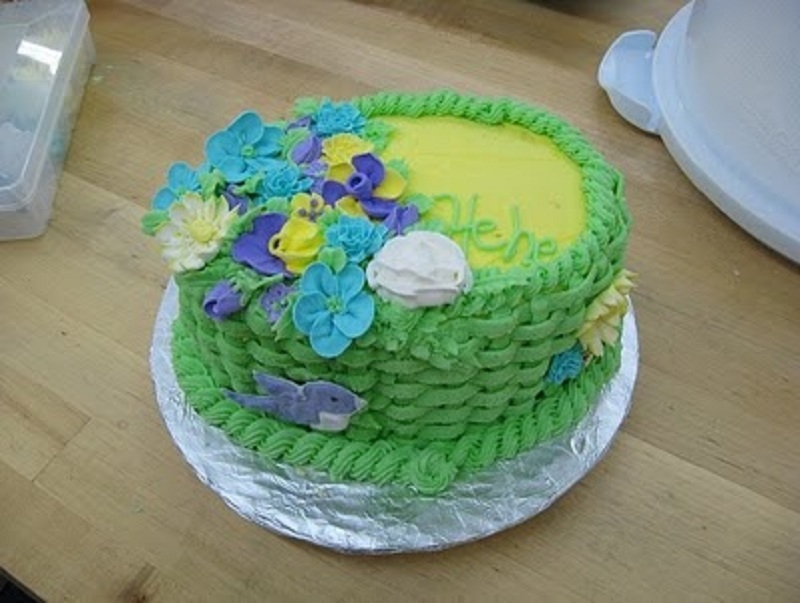 Here was another practice cake. Someone gave me this pan to try out. This was the class final. A lady at work wondered if I could do it. I think I succeeded. This was Class 2 final. There were 4 classes to take and they were 4 weeks a piece. 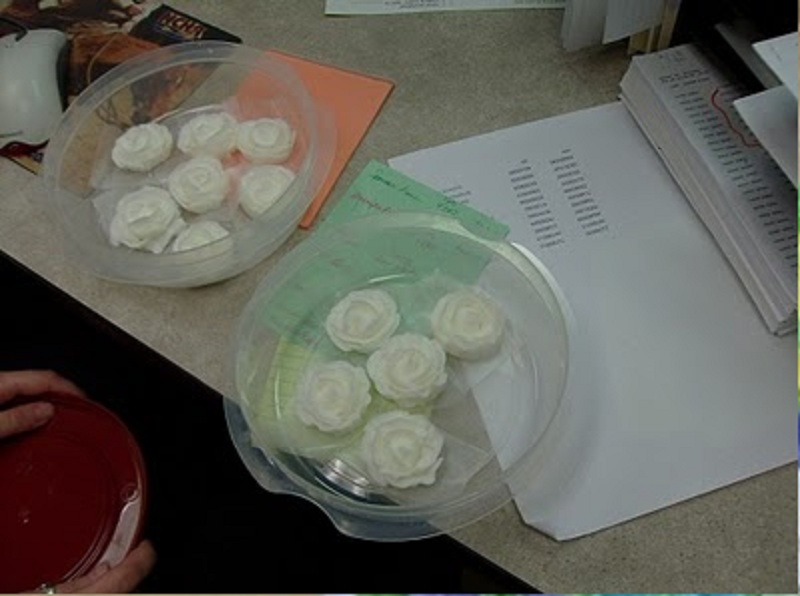 People I work with teased me about just bringing them icing so one night I sat out to practice making roses. Then the joke was I made Kalem a dozen roses that he had to share with Autumn, Jamie & Jonathan. I even supplied them with graham crackers. 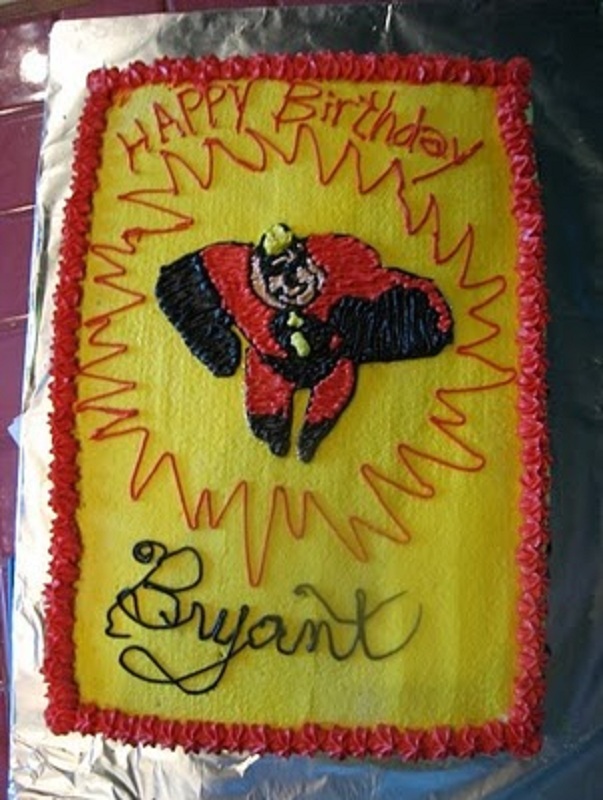 For Autumn’s son’s birthday that year she asked if I’d be interested in making a cake for his birthday and I jumped on it. This was one of my faves. 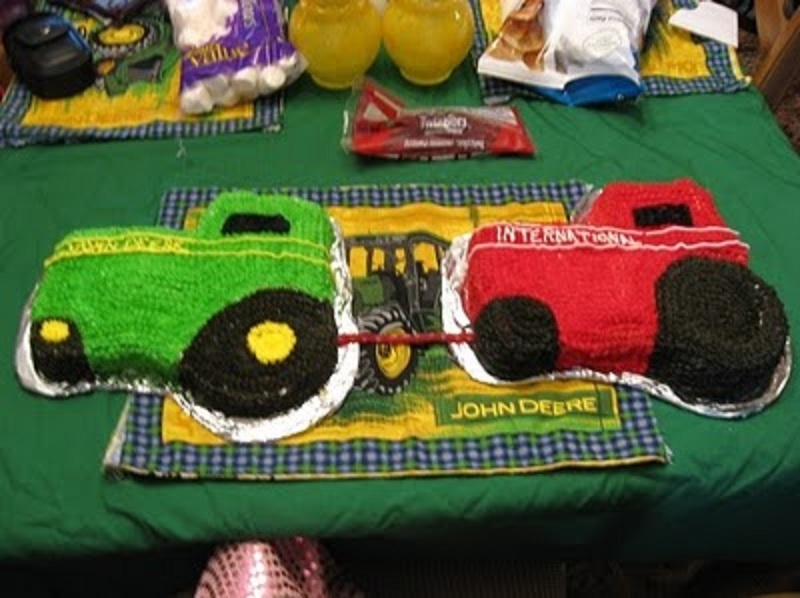 This was Class 4 final Cake. These people are made out of fondant which is a type of icing. It has the consistency of pie dough. 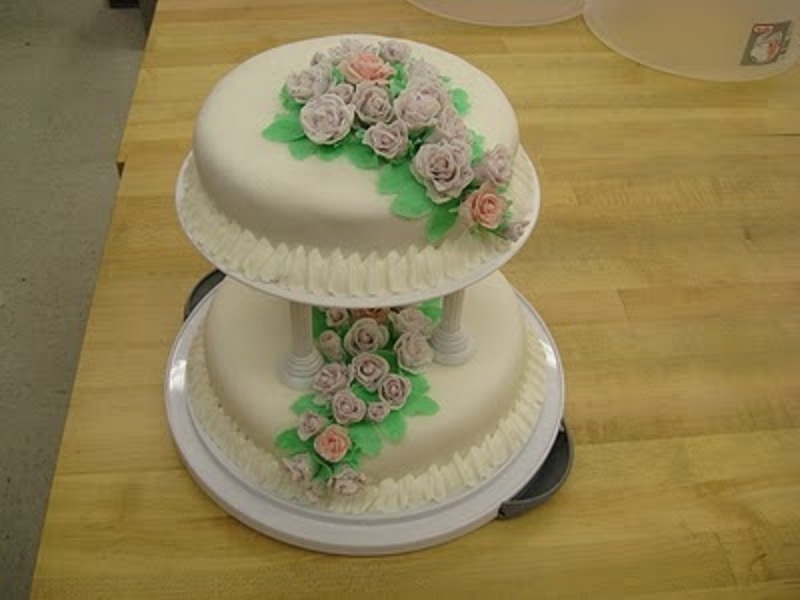 A lot of wedding cake people (such as Ace of Cakes on Food Network) use Fondant. It gives a prettier look to the cakes but it’s not nearly as good as your regular Butter Cream. 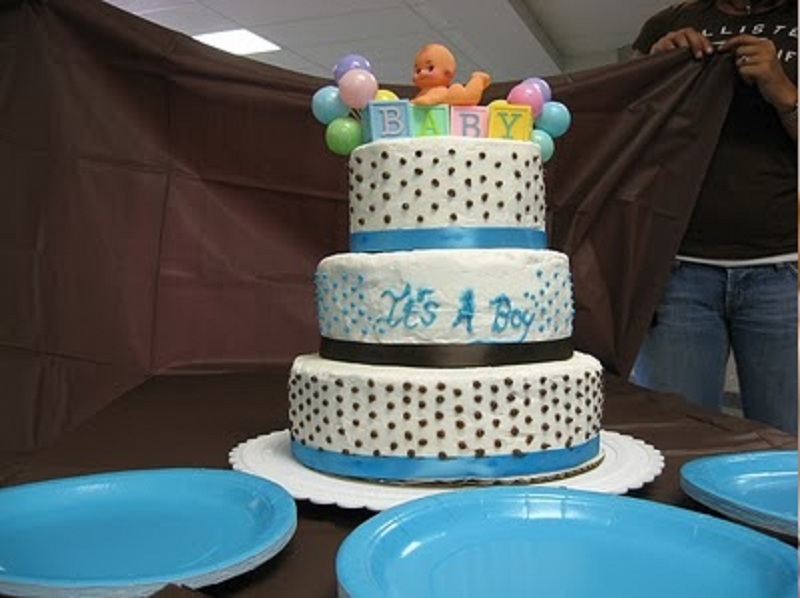 As you can tell… Baby Shower Cake. 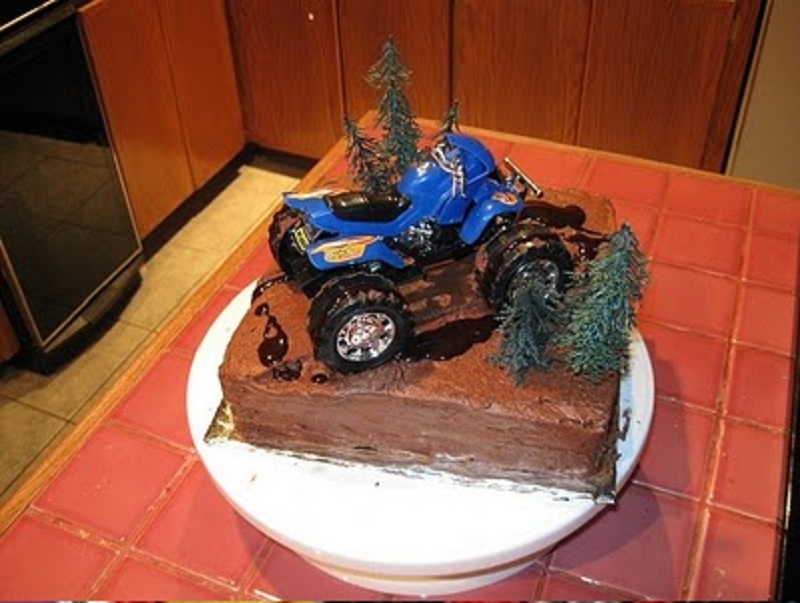 This was Autumn’s other son’s 1st Birthday cake. 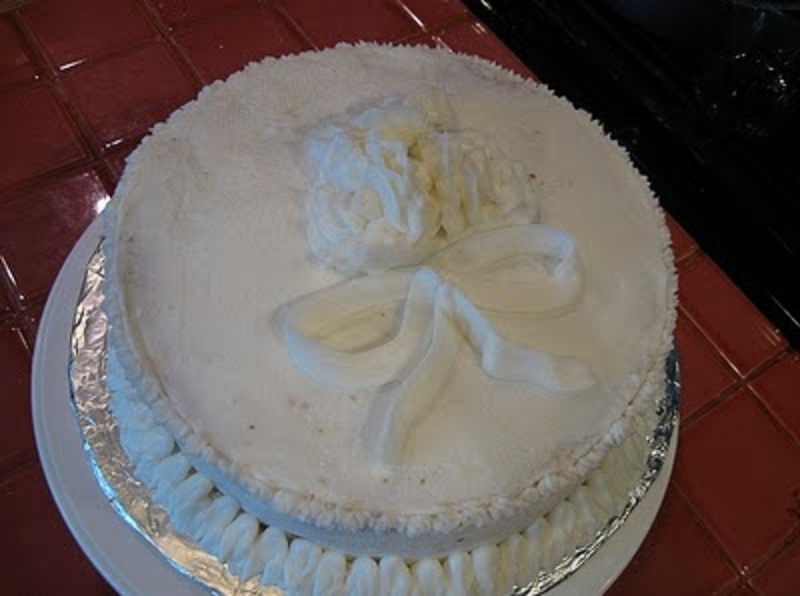 My friend April’s (at the time) soon to be sister in law’s bridal shower cake. This was a birthday cake. The blue icing is down on aluminum foil. The “sand” is actually brown sugar. And those bears so remind me of Teddy Grahams 🙂 but they weren’t. 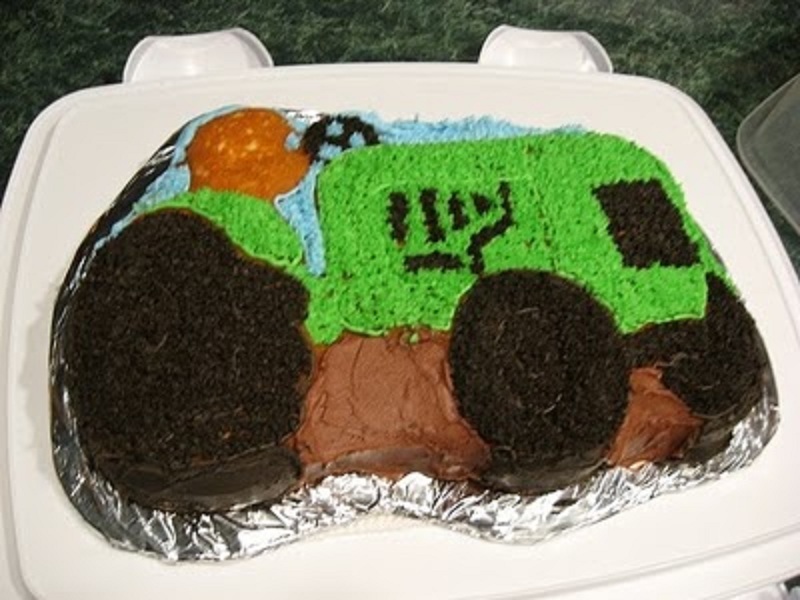 This was a birthday cake for a gal I worked with’s son. The “tires” are glazed donuts covered in black icing. This was a nightmare but once I figured it all out it worked great! 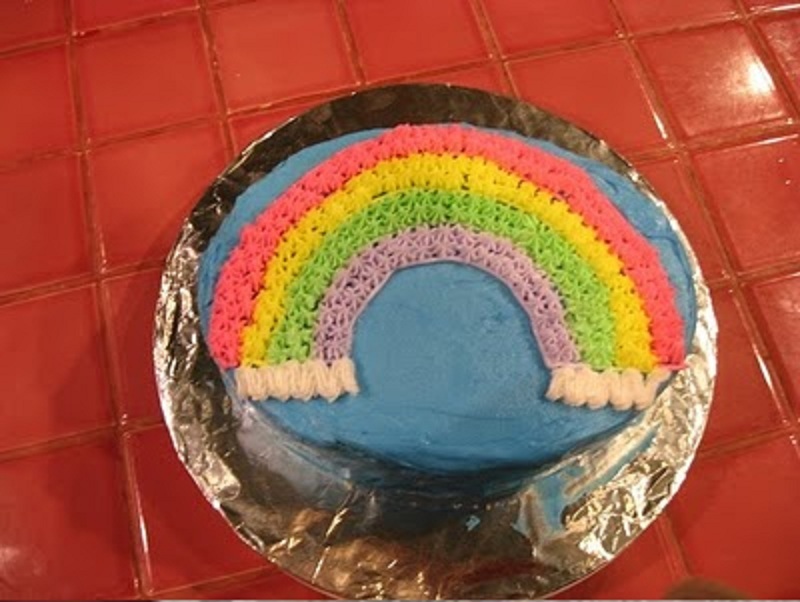 This was Autumn’s birthday cake. 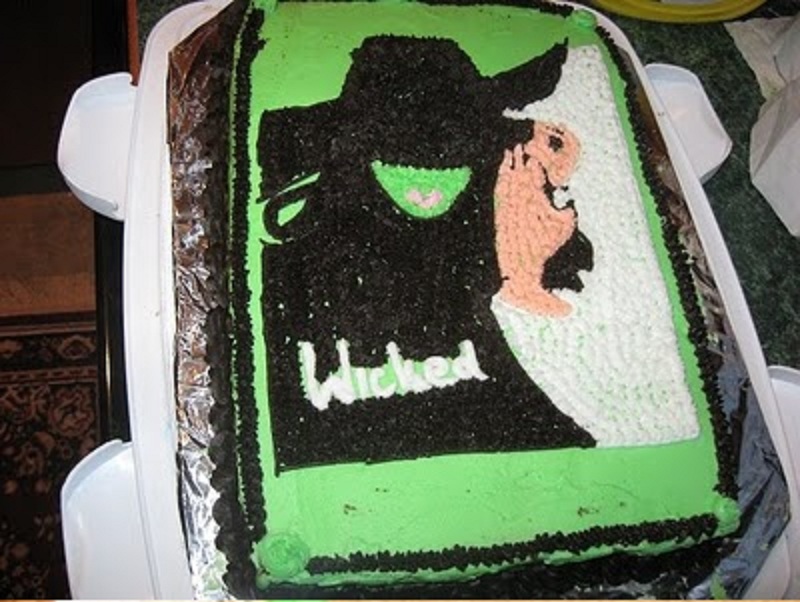 That year I made all my co-worker friends cakes for practice. 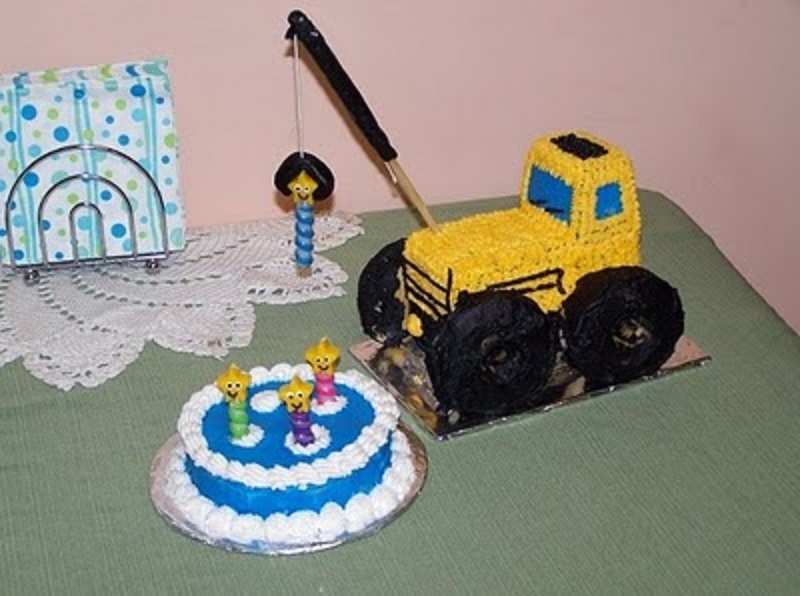 A guy that I worked with’s son’s birthday cake. My mom had a friend who her daughter had a baby and her son smarted off that he wanted a cake so to be a smart alic I went home and made him one and took it to him. The “mud” is chocolate syrup. My friends Brad & Jama’s 1 year anniversary cake. 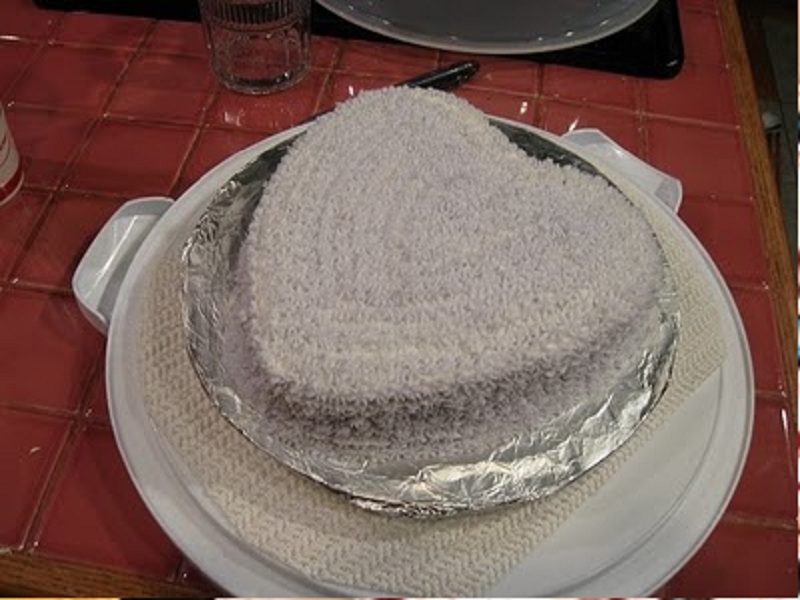 Their top layer of their cake they ate at 6 months. A bridal shower cake for my old Assistant Manager. They are fun when you aren’t having to meet expectations but can be extremely stressful in my opinion if you are trying to make them for someone who is paying you! So anyway now that I’ve babbled, I think I’ll babble some more 🙂 Here is the idea we are using for my wedding cake. 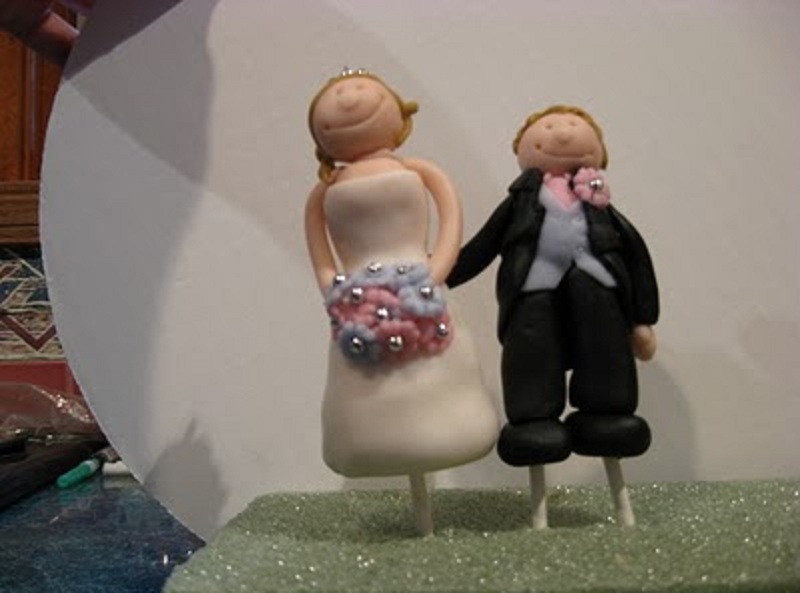 Some of the main differences are the cake topper. I have one instead of the balls. The top and bottom layer will be teal instead of pearlized white and I think the decorative designs will be the pearlized white. My cake lady called me yesterday asking what type of cake I wanted. 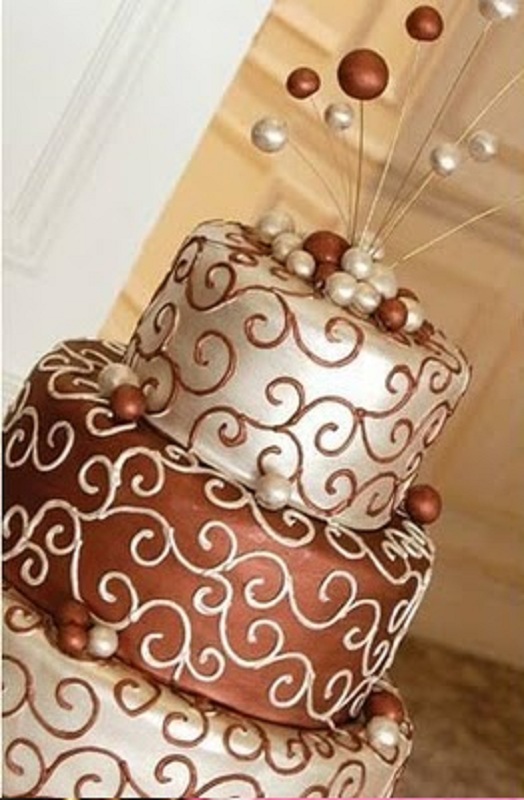 The grooms cake is going to be chocolate so I thought, white? That way we hopefully catch everyone. She said most grooms cakes are chocolate for that reason. Then we pondered it a bit and decided instead to do the middle layer chocolate and the top and bottom layer FunFetti (which is the white with sprinkles… hehe) Just something to catch my guests off guard and it so suits my personality :). She is still going to put the balls on the layers as well. I’m excited and can’t wait to see it! 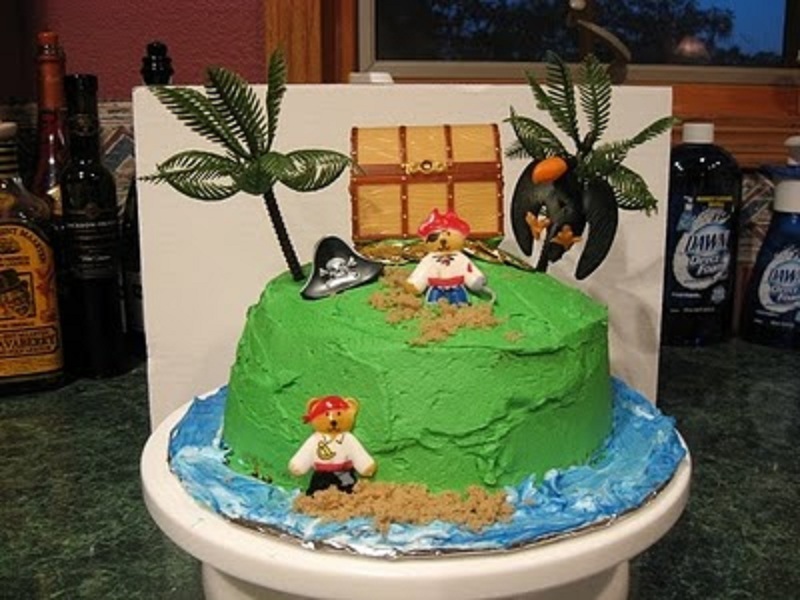 Wow – beautiful work on the cakes! Too bad you couldn't do your own. Can't wait to see how yours comes out! You are so talented! Good job girl! We are making 150 cupcakes on Friday for a wedding on Saturday. My mom is FREAKIN out 🙂 lol wish us luck cake queen! HOLY COW Nicole! You're really good at that!! Woah! I've started to write a post about our cake tasting too. 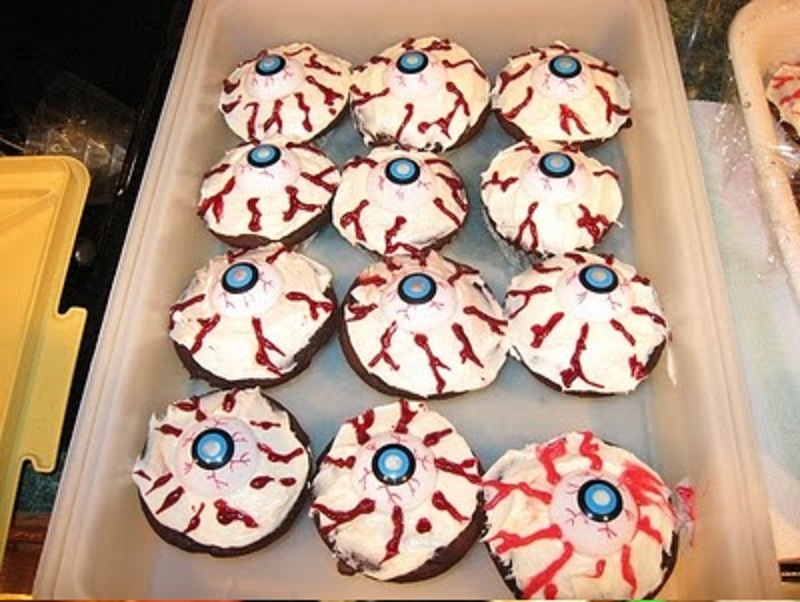 Those look awesome!! I'm still stunned. Great job! Nice work. You are indeed an artist. 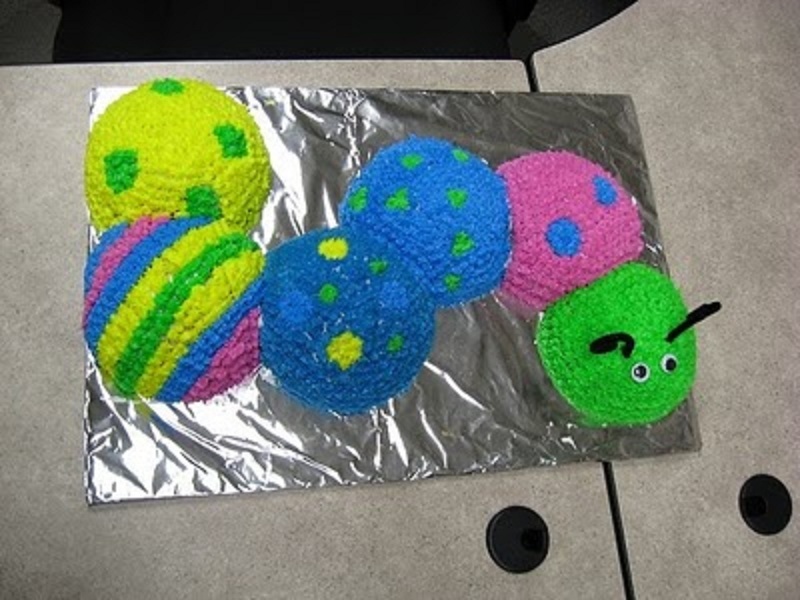 I've thought about taking a cake decorating class at the local community college. I'm terrible. The wedding cake is very cute. I took the cheap way out and had Wal-Mart do my cake. My mom made the groom's cake. Gotta do whatcha gotta do when you don't have much money! 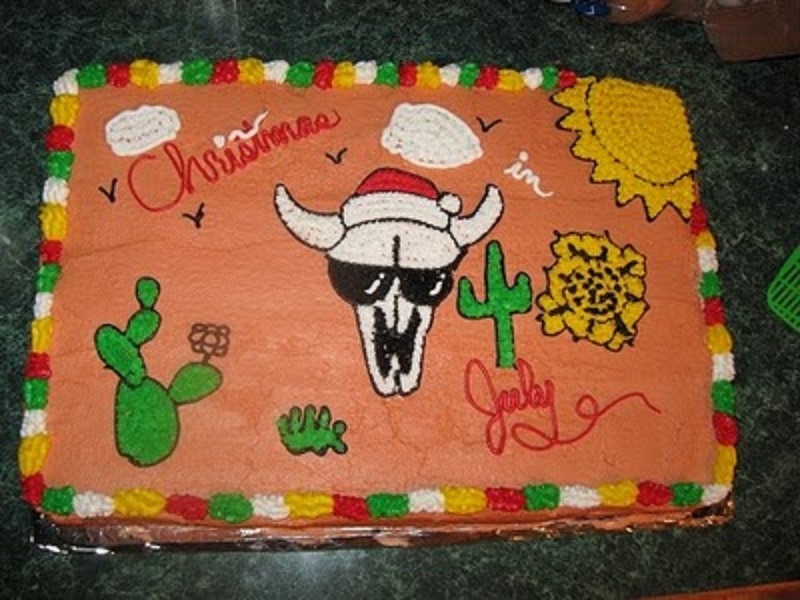 You are so freaken talented and I am so in the mood for cake right now dammit!! 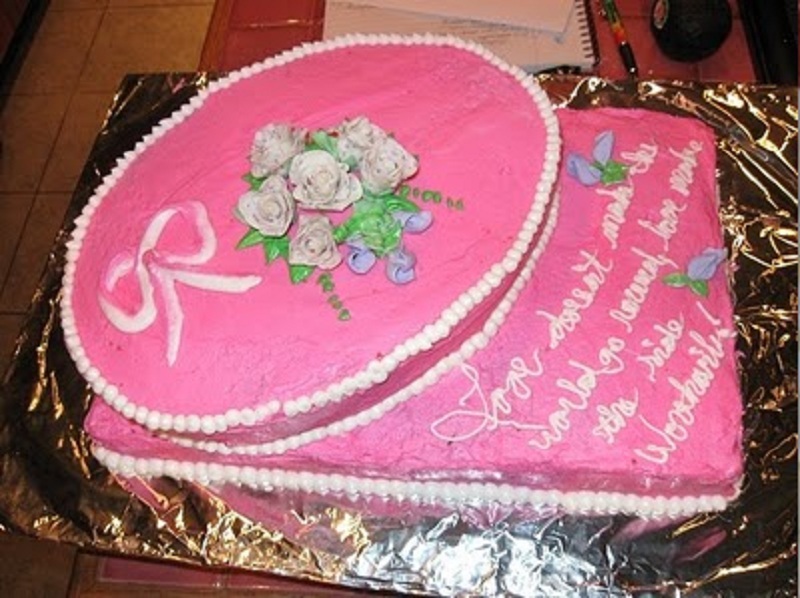 I love the cake you're going with for the wedding. It's going to be beautiful! Wow- great work! I've always thought that would be a fun craft to learn! Wow! I am impressed! I wish i was talented like that.